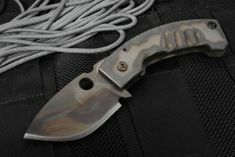 Crusader Forge, which also goes by the name Trident Knives, are completely custom handmade by Maciej Szczerbiak. 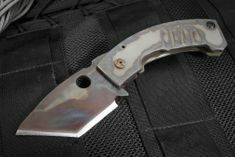 Maciej has been in the Special Operations field since 1989 and started making custom knives in 1996. His experience includes working with numerous high risk security units in Europe, the Middle East and the US. He is an internationally certified Yacht Helmsman, with maritime background including Trans Atlantic and Pacific Racing. Maciej is also a nationally certified law enforcement sniper instructor, certified SWAT rappel master, certified diver, EMT/Fire Captain and wilderness medicine instructor. 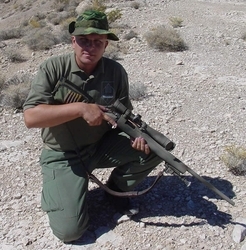 Working as a range master for one of the biggest US based firearms training schools, Maciej has helped thousands of military, law enforcement, federal and civilian students. These unique experiences guide the practical design and deployment of tactical edged tools. 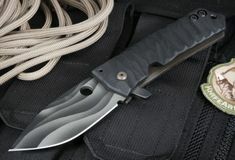 All Crusader Forge Knives are made from CPM S30V stainless steel. CPM S30V is a martensitic stainless steel designed to offer the best combination of toughness, wear resistance and corrosion resistance. S30V steel chemistry has been specially balanced to promote the formation of vanadium carbides which are harder and more effective than chromium carbides in providing wear resistance. 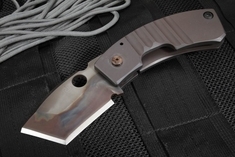 Crusader Forge does not subcontract any part of their manufacturing process. Their consistency and control over every aspect of production provides the highest level of quality. Crusader knives are designed and tested for comfort, cutting ability, safety for the user, balance and handling characteristics.